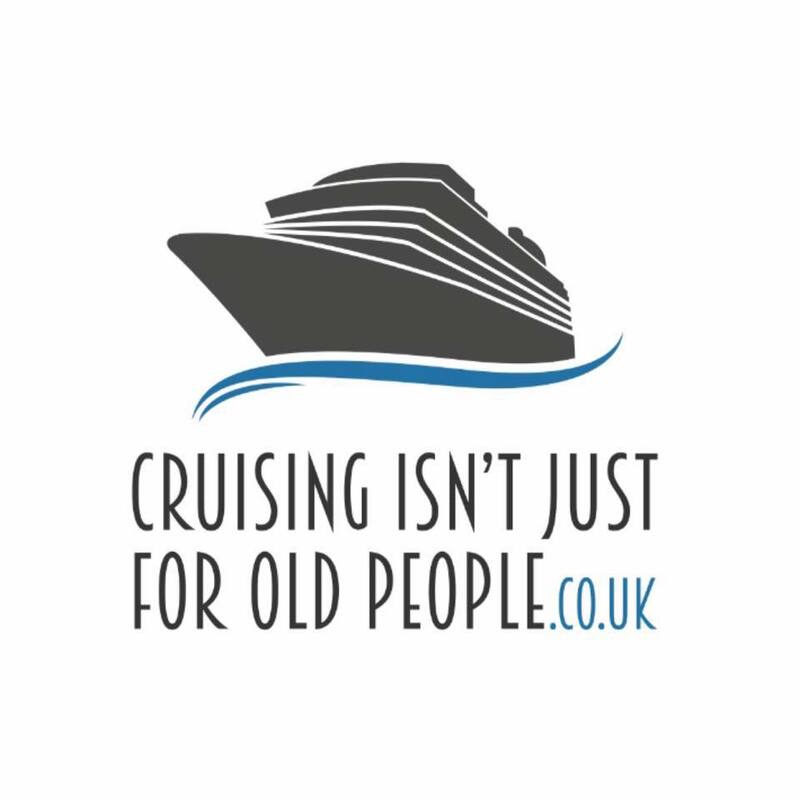 Cruising started for us as a Christmas get-away… A Teacher with the summer off and a Cop working all summer for the Olympics meant that there was not a lot of holiday to be had in 2012. So we decided to book a Christmas Cruise in the Caribbean! 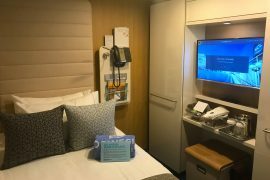 Our first experience of Cruising with Royal Caribbean was everything we had imagined it would be. The food was great, the staff helpful and the ship, Adventure of the seas, was stunning. Naturally, when it came to Honeymoon in 2014 we were going to return. This time for 14 nights on Explorer of the seas. It turned out to be somewhat of an eventful and iconic cruise. Iconic because it was a relocation of one of New Jersey’s favorite ships. Complete with most of her regular passengers it seemed. Eventful because of the Poseidonesque ‘Rogue Wave’ that struck the ship early one morning. It relocated a lifeboat and flooding a stairwell. In true Royal Caribbean style though nothing was an issue. The clean-up was handled in a professional and speedy fashion. Fast forward a couple of years and inevitably a Couples Cruise became a Family Cruise. The differences are what I am hoping to look at here. In October 2016 we set off to join Navigator OTS out of Southampton. The first major difference was that this was to be our first sailing from the UK. 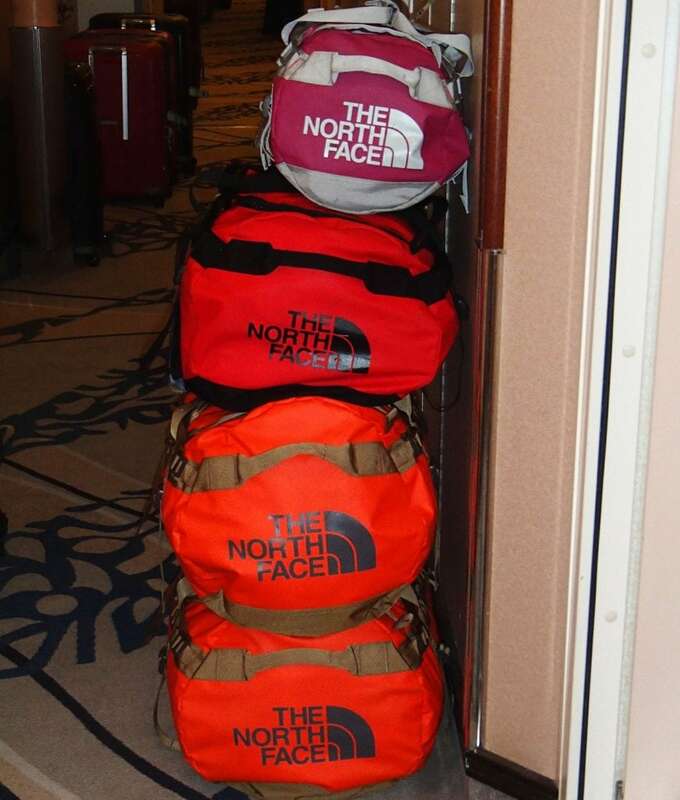 Therefore there was no need for the luggage weight restrictions or size constraints of Fly-Cruise holidays. An added bonus when it comes to the extra luggage a toddler generates. 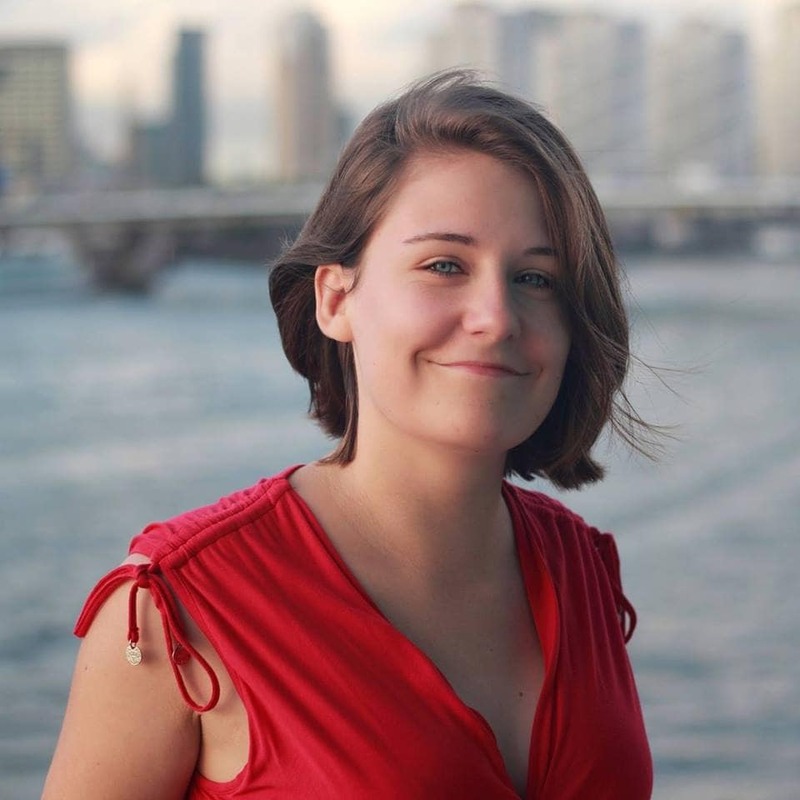 Having some experience of cruising and a lot of questions on Ship Mate meant that we were able to do some good planning as to how we would go about certain things. ‘E’ was 14 months old at the time of the cruise and had only just taken his first few steps in the preceding weeks. Like most toddlers, he wasn’t a huge fan of showering and preferred a bath. With this in mind we opted to take our own solution in the form of a shallow ‘site bucket’. The kind you might use to wash horses hooves or similar! The joy of this was the ability to fit it into the base of our largest suitcase. Fill it with other supplies (It’s only thin plastic) and use it filled with water in the bottom of the shower for bath time. Happy Toddler Tip #1! When it came to embarkation at Southampton things couldn’t have gone smoother. The first member of staff was instantly engaged with E and made the transition through the terminal really quick with no waiting around. Pretty essential really when one member of the group is hyperactive with excitement… and you have a toddler too! 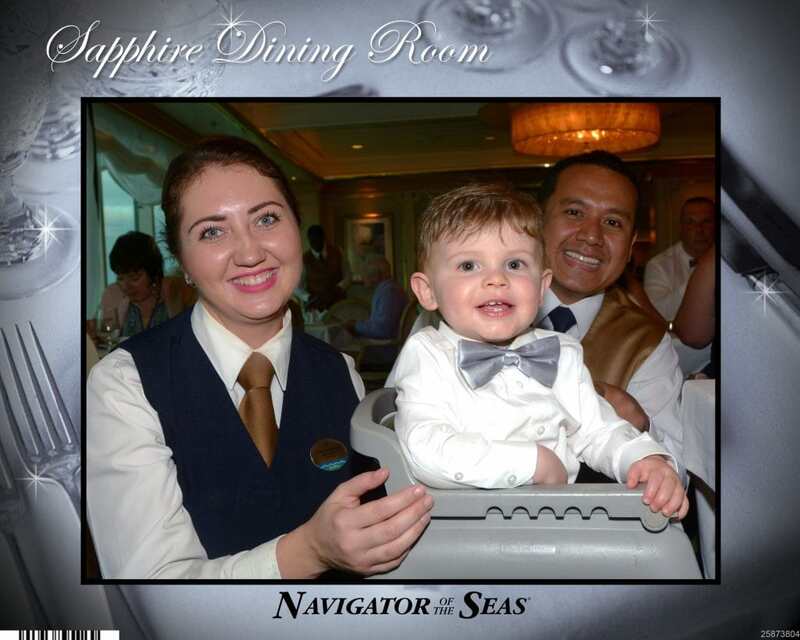 Throughout the cruise, the staff went out of their way to make our little man feel welcome and he brought us no end of attention. We have been quite loyal to our MDR waiters in the past and like to eat in there every evening. Using Windjammer for lunch and breakfast. From the first night, the wait staff paid E so much attention and, subsequently had a bowl of fruit waiting for him the moment we sat down. He was able to tuck in straight away whilst we chose our meals. 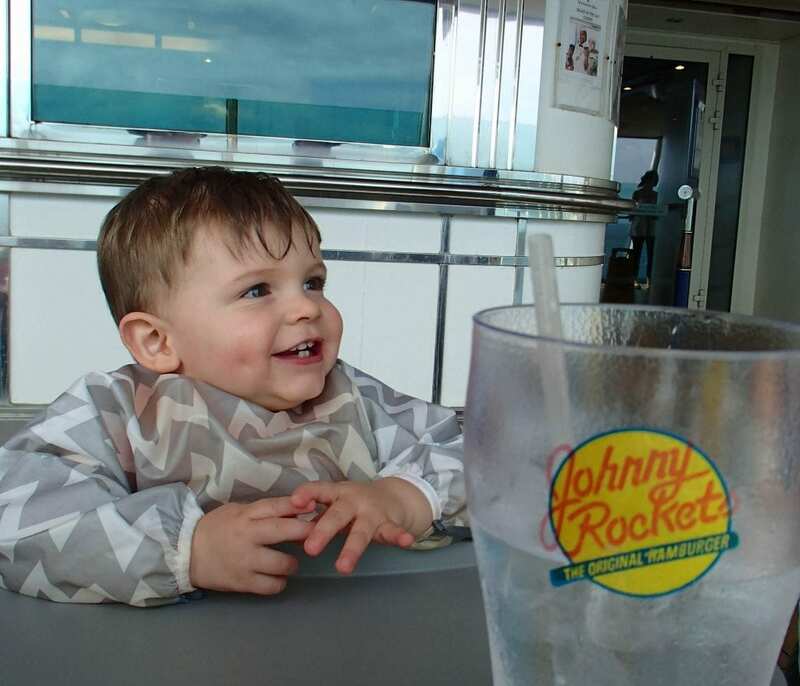 On the first night in the MDR we got some wary looks from the surrounding tables as we placed our potentially noisy bundle of fun into his highchair. However, he excelled himself and was soon getting smiles and comments from all those around us rather than causing upset! 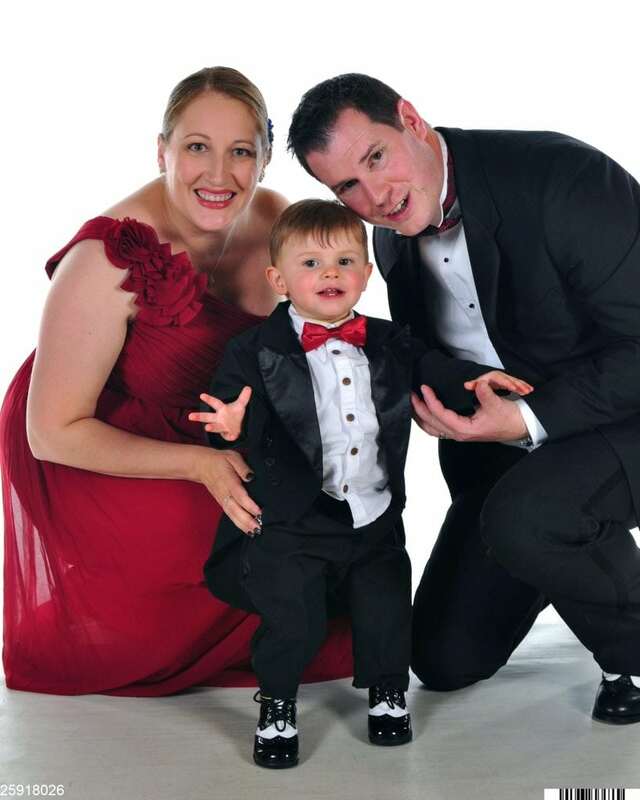 One of our favourite parts of Cruising is the opportunity to dress up on formal nights and we were able to take this to another level with a toddler! The number of smiles and comments that we got as Daddy and E both stepped out in tuxedo’s with matching wing-tipped shoes. (Yes you can get them for toddlers) and bow ties matching Mummy’s formal dress! It made the photo package worth every penny! 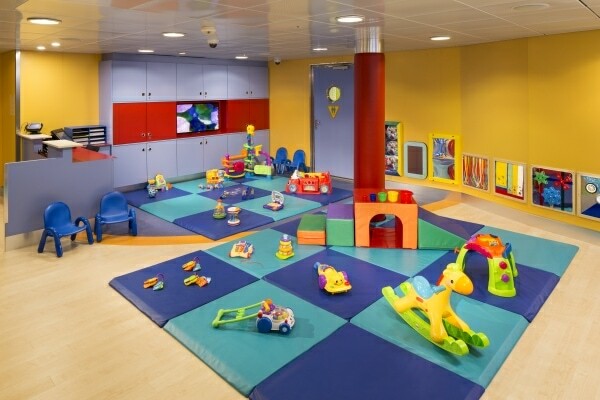 Prior to this cruise, we had never ventured into the “Kids Club” areas (why would we have!). So that was a new experience. On Day 1 we went and registered E in the nursery, mostly just in case, but also so that we had some information on what was involved. Despite hearing rumours that they don’t change nappies this isn’t the case. As they put it.. ’what’s the point in having childcare if you have to return and change them all the time?’. If you are travelling and limited on space, the nursery do hire out bundles of toys that you can take back to your cabin to entertain your little one. Each comes with a detailed photograph of what is involved. So, if your toddler is like ours and possesses the ability to lose a crucial piece of any toy within seconds, make sure you keep a good track of where everything goes! The play provisions for under 3’s (the minimum age that Royal Caribbean allow them to be left in the “Kids Club” as opposed to the nursery) were small but adequate. Situated in what would normally be a “teenagers nightclub” there was a small soft play area with toys etc laid out each day and events such as dance parties in the evenings. Our cruise had a minimal amount of children on board and therefore the events were scaled down accordingly or, for the kids club. I believe the combined some of the age groups together. 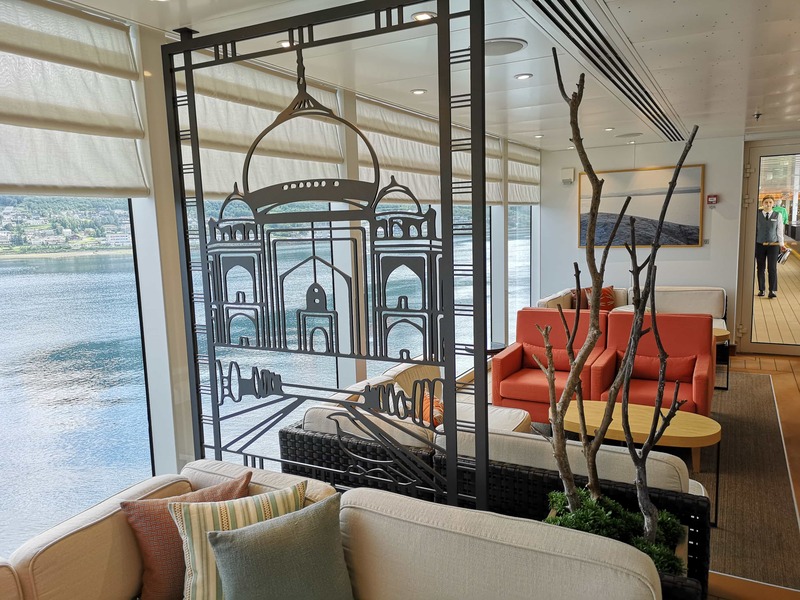 One major difference for this cruise was that we chose not to take any excursions. Preferring to do our own thing of walking into the town from the ship (usually no child seats available in public transport) and exploring at our own pace. There was room for a substantial folding buggy under the bed in our stateroom and easy access everywhere we went. I would, however, recommend looking at your ports of call and judging if your buggy is up to the job or not. Luckily ours had decent sized wheels and tyres. 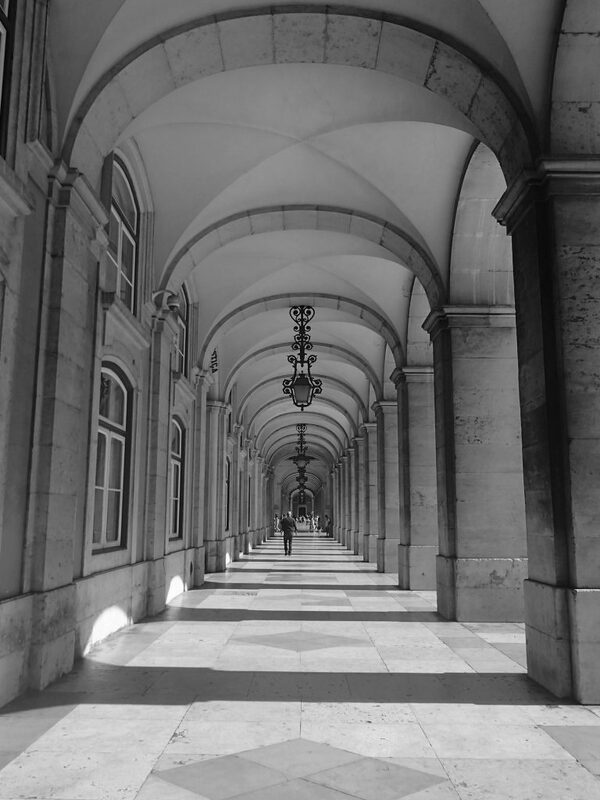 However, a small umbrella type with small solid wheels may have struggled in places with cobbled and uneven streets. From the Photographers who went out of their way to get some amazing pics of our little man. To the Bar staff who would come out with fruit originally destined for cocktails as we wandered past to keep him happy. The crew were amazing. We were told by several staff members that they enjoy having toddlers on board. It reminds them of their own families that they can be spending months away from. A few of our waiters especially wanted pictures with E to send home because they had been talking about him to their relatives! From the Captain to the Cleaners, Security to Show Staff the interaction from having a tiny cruiser in tow made the 14 nights even more enjoyable. Now to find out what it’s like with 2 mini-cruisers! Thanks for this Dunk! 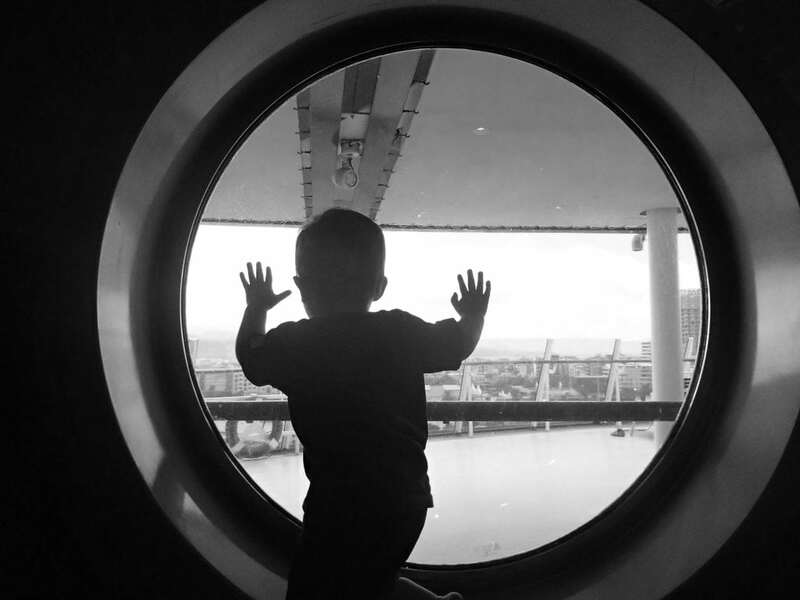 So glad that you are able to share your cruising experiences with your little one(s). Sounds like you had an amazing cruise. 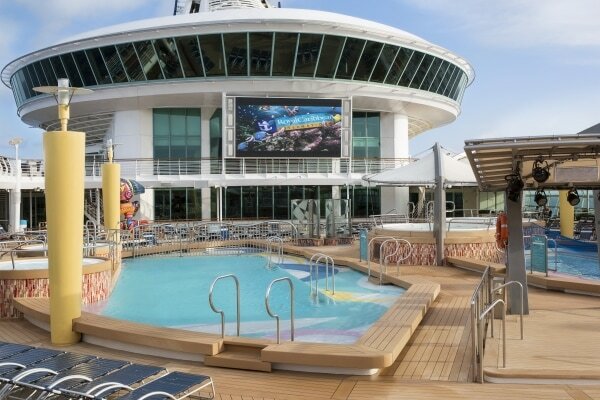 I see why you like Royal Caribbean. I took my first cruise with them this year and definitely would like to return to try some more. It is lovely to have a post from you. You were one of the first people I spoke to in the cruising community. I’m so glad you’ve stuck around this long! 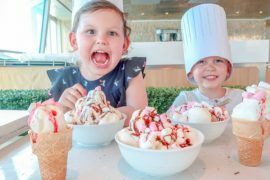 Would you let your kids organise your cruise? That’s exactly what Marella do in their new campaign. 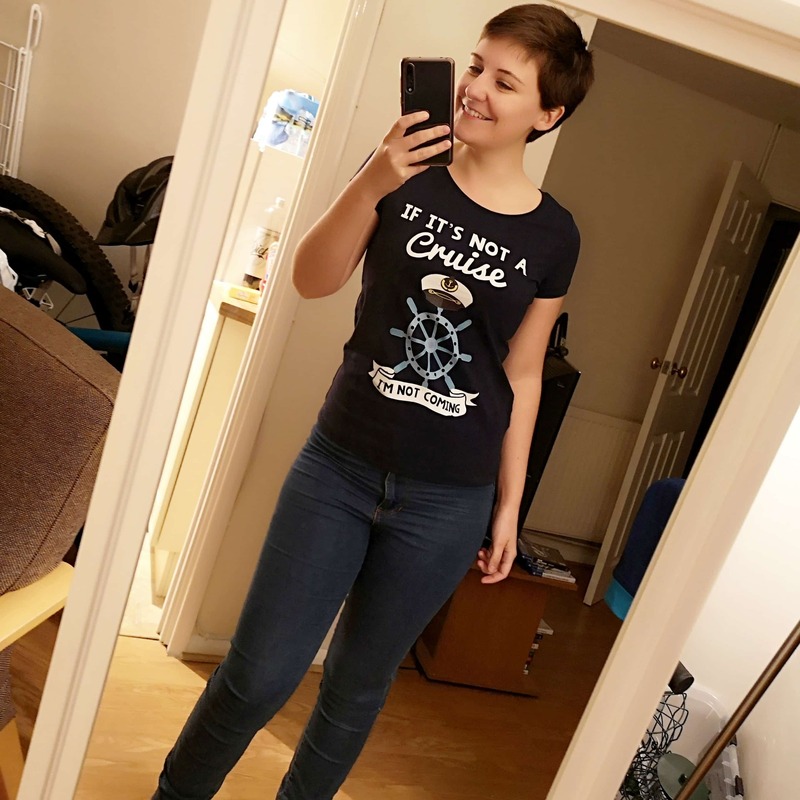 In the post, I talk about everything that I loved about cruising as a child (and how a cruise would look if child me had planned it!). 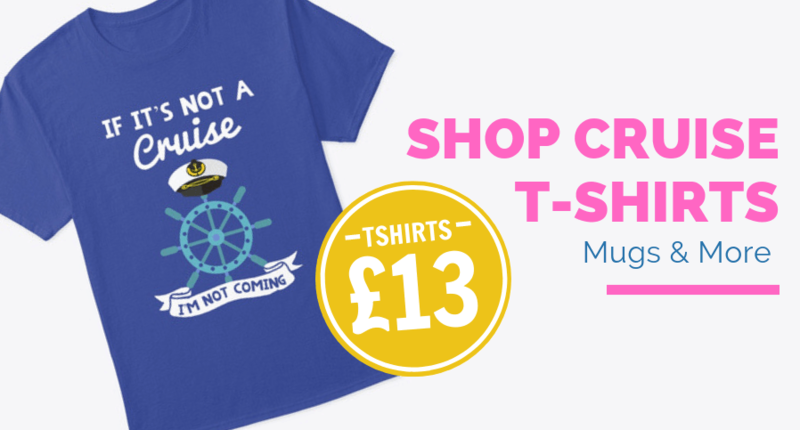 Would you let your kids organise your cruise?